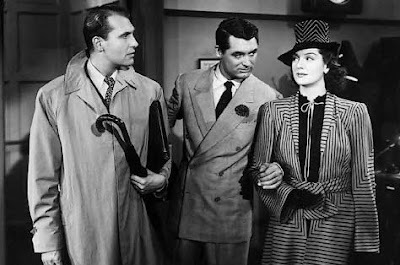 Call it front-page news or inspired by a drama called “The Front Page”, His Girl Friday will be my pick for all time favorite Cary Grant movies. This was the second Cary Grant movie for me, and to be frank, I became a big fan of his after watching this movie. Cary Grant (Walter Burns) plays the role of a Chicago based newspaper editor and the story starts with him losing his main editor, who coincidentally happened to be his ex-wife played by Rosalind Russell (Hildy Johnson). She would visit him to say that she would be getting married in two days time. She even introduces her to be husband played by Ralph Bellamy (Bruce Baldwin) to Walter. More than losing his wife, he wouldn’t want to lose his main weapon in Hildy, who had quit the job for marrying Bruce. Watch the movie to see the events, which keeps rolling while Walter makes every effort to get Hildy back in the job. He ensures Bruce is placed outside the equation so that she doesn’t have to marry him. Quite a selfish guy to be honest, but it’s the dialogues and the way he convinces Hildy to cover one final story about a convict. Coming to the origins, the original story had a guy playing Hildy’s role. But director Howard Hawks was convinced the dialogues would suit better if a female plays the role. The script was altered and rest is a masterpiece with respect to situational comedy. Released in 1940, this movie is one of my favorite. 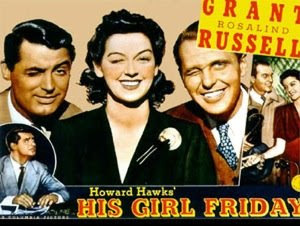 Directed by Howard Hawks, it starred Cary Grant, Rosalind Russell, Ralph Bellamy and others.